The correct name is phellem or outer bark. From the outside in. Outer bark. Then inward comes the Phloem (white arrow - wide band of dark orange color). 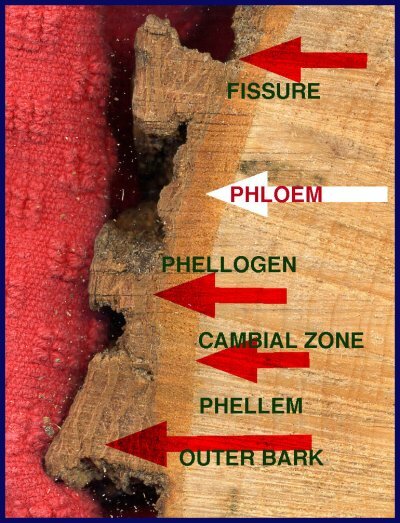 Then to the inner side end of the phloem is the cambial zone. Note: The Cambium Zone arrow points exactly at the Zone.